Using the latest trends in web design, we have crafted a theme that combines stylish look, powerful functionality and easy navigation. Meet our new Trend Flat & Clean WP Theme that has no equals. The main zest of Trend is the parallax scrolling effect that highlights flat design and clean style. The structure of this template consists of nicely arranged menu categories, well-defined content blocks, impressive portfolio and informative footer area. Theme Options Panel comes with a great variety of helpful settings, among them customization of logo, fonts, socials, contacts as well as color option. Also this premium theme includes GT3 Page Builder plugin that will assist you in creating unlimited number of pages, drag and drop page modules, shortcodes and other custom settings. Time saving system of this great tool will simplify your editing work a lot. Moreover, this theme was coded with the SEO in mind. Feel free to use the most popular SEO plugins like Yoast and all in one SEO pack. 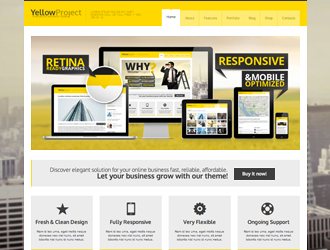 Flexible responsive layout and retina display feature make the Trend a first-rate theme. All these tangible benefits are wrapped around modern and stylish execution for your best website performance. 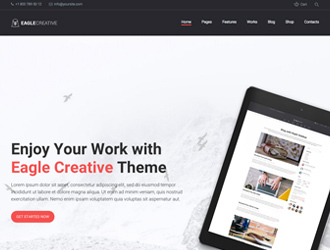 Have a look at this awesome Trend Flat & Clean WP Theme and don’t miss a chance to start your own professional website at the click of a button.